Despite reports that fighting is ebbing between Sudan and South Sudan, the situation is troubling. 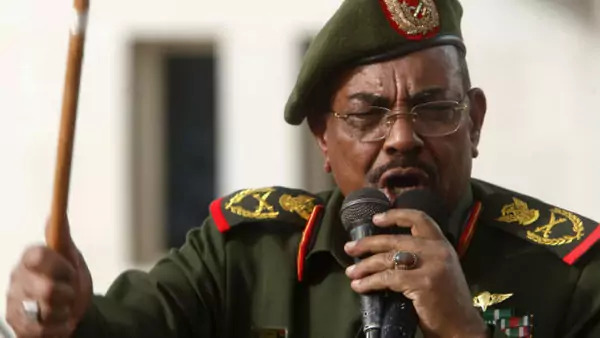 Last week, Sudan (Khartoum) president al-Bashir escalated his rhetoric against South Sudan (Juba) in the aftermath of the latter’s forces occupying an oil-rich region, Heglig, inside Sudan’s borders. Al-Bashir has characterized the Juba government as an "insect," and he appears to be repudiating the independence of South Sudan. The press reports him as saying, "Either we end up occupying Juba or you (South Sudan) end up occupying Khartoum but the boundaries of the old Sudan can longer fit us together, only one of us has to remain standing." He said that his Sudan Armed Forces will teach South Sudan "a lesson in jihad and patriotism," according to press reports. On April 17, Thabo Mbeki’s African Union (AU) mediation team and UN Special Envoy to the two Sudans Haile Menkerios briefed the UN Security Council. U.S. Ambassador to the UN Susan Rice is quoted in the press as saying that the two characterized Juba and Khartoum as locked "in a logic of war." The UN Security Council is considering sanctions against both states with the goal of ending hostilities. On April 18, the U.S. Department of State spokesman said, "We continue to call for an immediate and unconditional cessation of violence by both parties, and that means we want to see the immediate withdrawal of South Sudanese forces of Heglig and we want to see an immediate end to all aerial bombardments of South Sudan by the Sudanese armed forces." The spokesman said that U.S. special envoy Princeton Lyman has been meeting with both governments. And, most recently, the AU issued demands that the two sides resume negotiations. Al-Bashir’s reference to ’jihad’ is particularly provocative given Khartoum’s history of trying to Islamicize Christian and animist South Sudan before the latter’s rebellion and independence. Al-Bashir’s comments will confirm for many South Sudanese their doubts as to his commitment to the Comprehensive Peace Accords that led to Juba’s independence last year. For now, Juba and Khartoum do, indeed, appear to be locked "in a logic of war." It remains to be seen whether they will back down in the face of international opinion as expressed by the UN Security Council and the African Union.